This image illustrates one of the byproducts of global warming. the sea level to rise and drowning land at shorelines world-wide. under water. Only part of the panhandle region wll have dry land. "Sorry, no results found for 'Climate change'. Try entering fewer or broader query terms." President Trump picks a new head for the Environmental Protection Agency (EPA). Trump selected Oklahoma Attorney General Scott Pruitt (R) for the post. On JAN-18, just before the President's inauguration, Pruitt stated during his confirmation hearing that he accepts that climate change is real. However he does not necessarily agree that it is caused by human actions. "I do not believe that climate change is a hoax." Colombian President, Juan Manuel Santos, announced that at least 193 people had been killed following intense rains during the early morning hours in southern Colombia. (The state of Colombia is located in the north-west corner of South America). The Red Cross reported that 400 people were injured and 220 are believed missing. The death toll is expected to rise as bodies are pulled out of the mud. The city of Mocoa has about 350,000 residents. Three rivers flooded, carrying mud and water through the city, demolishing many structures. It happened after midnight, when most people were at home sleeping. "President Juan Manuel Santos and other officials pledged emergency relief and said that Mocoa would be rebuilt, including a new water system to replace the one damaged in the flood and new homes for those in the 17 neighborhoods hit hardest by the surging water. He said he had spoken by phone with U.S. President Donald Trump, who promised assistance, as have other nations including China and Venezuela. Santos also declared an 'economic, social and ecological emergency,' a designation intended to speed reconstruction efforts. 'We are not going to stop until everyone affected by this natural disaster receives help,' Marquez said." The Mauna Loa Observatory on the "Big Island" in Hawaii continually monitors the level of Carbon Dioxide (CO2) gas in the atmosphere. This is the main atmospheric greenhouse gas in the atmosphere that traps the sun's heat and raises the surface temperature of the Earth. The CO2 concentraton reached 400 ppm (parts per million) in 2013. On APR-18, it reached 410 ppm, and appears to be still rising. "Atmospheric CO2 is now higher than it has been for several million years, as measured in ice cores and ocean sediments." 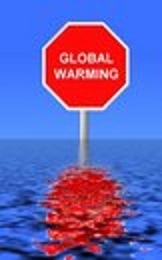 "The current rate of increase is about 200 times faster than when CO2 increased by about 80 ppm from natural causes when the Earth climbed out of the last Ice Age." That happened between 17,000 and 11,000 years ago." "We tend to ignore the atmosphere and just think that the plane is flying through empty space, but of course, it’s not. Airplanes do not fly through a vacuum. The atmosphere is being modified by climate change." "When you get in excess of 118 [º F]or higher, you’re not able to take off or land." In Phoenix, AZ, American Airlines was forced to cancel more than 40 flights during the first half of 2017-JUN, because some smaller jets could not safely take off at temperatures about 120º F (49º C). The problem is that air thins out when it heats up. The wings produce less lift. This reduces the forces lifting the planes off of the runway. Among larger planes, the Boeing 737 has a maximum takeoff and landing temperature of 126º F; the Airbus A320 can handle 127º F.
Other airports than Poenix are at different elevations. Airplanes' maximum takeoff and landing temeratures are vary among different cities. Some airports are extending their runways to compensate for the higher temperatures. This is not always possible for airports close to urban centers. 2017: What can an individual do to reduce climate change/global warming? 00.10 tons: Upgrade incadescent light bulbs. 00.21 tons: Hang up clothes to dry. 00.80 tons: Eat a plant-based diet. 01.15 tons: Replace a gasoline powered automobile with a hybrid. 01.50 tons: Buy green energy. 01.60 tons: Avoid air travel. 02.40 tons: Live without a car. 58.60: Have one fewer child! Image by Geralt. Downloaded from www.pixabay.com.